Michael Keating, MD, is a board-certified and Harvard-trained pediatric urologist with AdventHealth Medical Group and the Medical Director of the Pediatric Urology Program at AdventHealth for Children. A seasoned expert with more than two decades of experience and four children of his own, he is uniquely capable of building a rapport with his patients and their parents, who trust him to deliver the most compassionate and effective treatments available anywhere. Dr. Keating frequently treats patients with bladder dysfunction, abnormal genitalia, chronic urinary tract infections, spina bifida and many other urologic conditions. 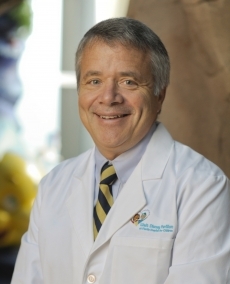 One of Florida’s most respected pediatric urologists who receives patient referrals from primary care physicians across the state, he earned his medical degree at the Medical College of Toledo in Ohio and undertook both his residency and advanced fellowship training at Harvard Medical School in Boston.